This is the message that artist Beau Bradbury sent to Miami when his mural, ‘You Don’t Scare Us Irma,’ went viral before the storm hit. 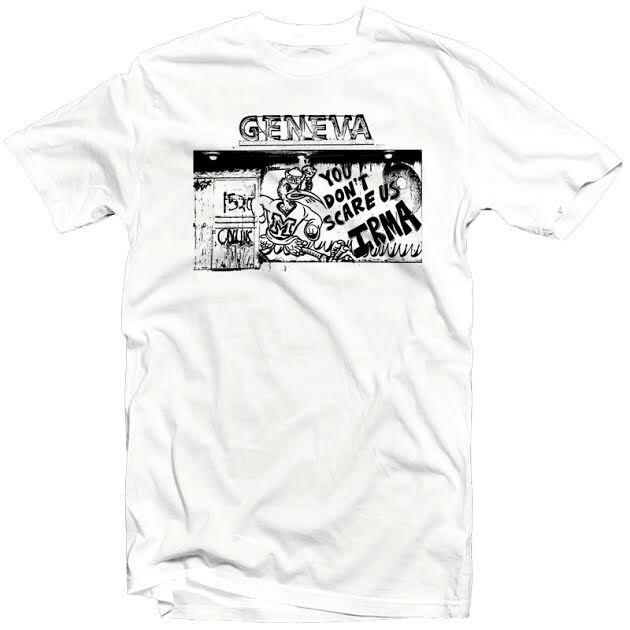 Painted on the side of the Geneva Hotel on 15th and Collins in Miami Beach, the hourlong street art project became a popular and powerful message of strength for the South Florida community. 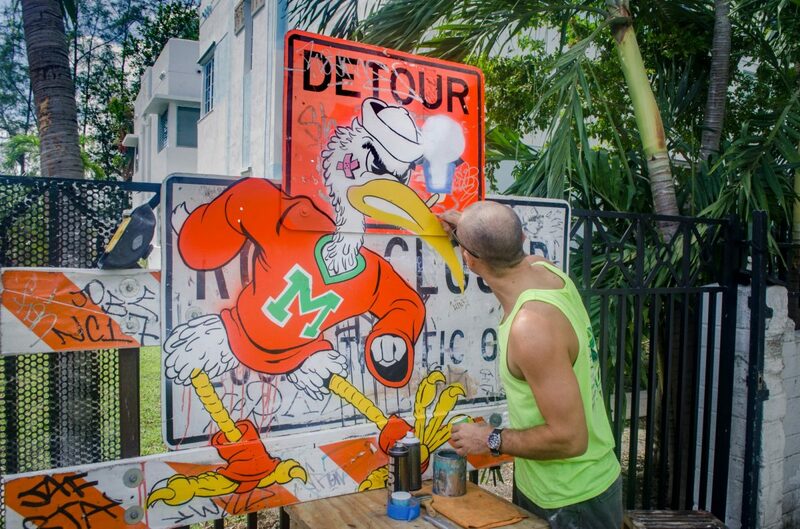 The mural features UM’s mascot, Sebastian the Ibis, in his UM gear, ready to fight. Next to Sebastian is the phrase “You don’t scare us Irma” in big bold letters. Bradbury was out walking Thursday night before the storm hit, when he came across a large, empty, plywood-covered space on the side of the Geneva hotel. Bradbury isn’t a graduate of UM, but he chose the Ibis as the focus of the mural because of its boldness in the face of a hurricane. “Legend has it that the ibis is the last one to leave during the storm and the first to return,” he said. Bradbury, an established street artist, moved to Florida from New York a few years ago, and he’s familiar with the challenges of street art. In 2015, Bradbury painted the phrase “Go Mets” on an entire block in New York City. He said the cops warned him to be careful but they ended up taking pictures of the art and posting it to Instagram. His street art has gained traction and even been shown in books and documentaries, but Bradbury said he still feels like somewhat of an outsider. Bradbury said he believes there are different varieties of artists; each has a place, is unique and is equally important. Bradbury’s Ibis art often pops up on his website and Instagram. He hopes to do an Ibis-themed art show at the University of Miami and teach a street painting class. “The power of art and the power of graffiti is stronger than we think,” Bradbury said. For more of Beau Bradbury’s art, follow his Instagram, @Beau_____ or check out his website, beaubradley.com.